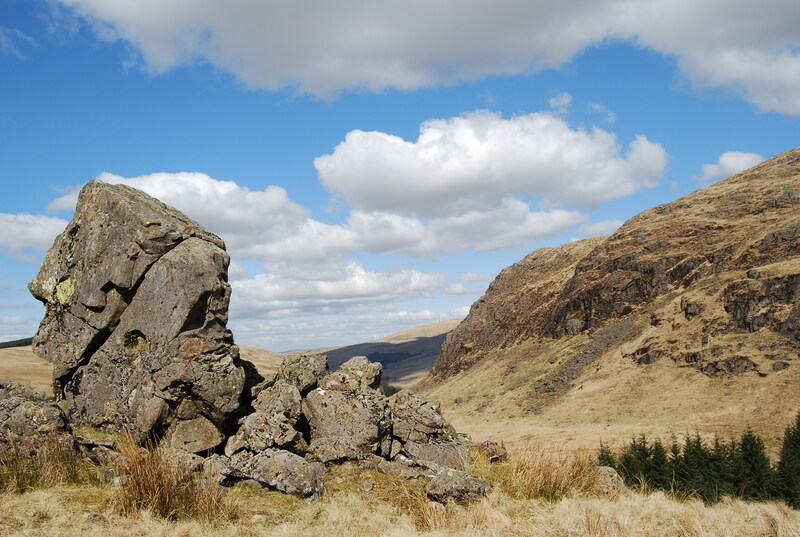 At the head of Glen Afton, just beyond Blackcraig, stands a majestic rocky outcrop long known to the people of New Cumnock as Castle William. In 1990 Hary’s words took on a new significance with the re-discovery of the ‘Wallace Seal’ which identified Sir William Wallace as the son of Alan Wallace, a name which also appears in the Ragman Roll (1296), where Alan is described as a crown tenant in Ayrshire. The tenous link between Sir William Wallace and lands in Renfrewshire evaporates as does the belief that Wallace was a vassal of the Stewarts (Steward). His father Alan was a crown-tenant in Ayrshire and the search for the Wallace lands must now seriously consider that part of the shire retained directly by the crown and known as King’s Kyle. 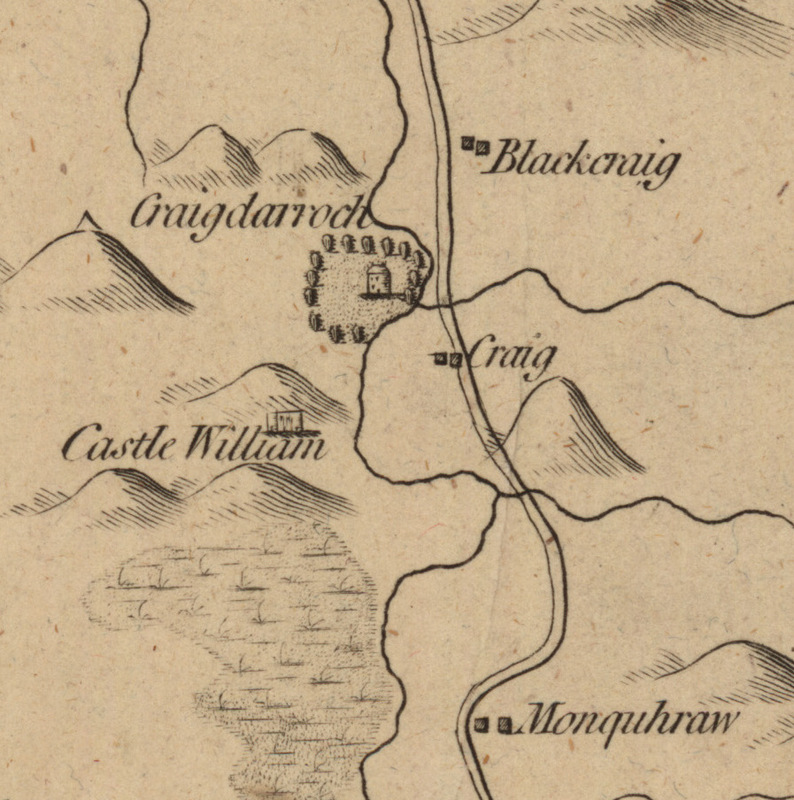 The lands of New Cumnock lie in King’s Kyle with Blackraig hill its highest peak and here at the Blak Rok (Blackcraig) Hary reveals that Wallace was a crown tenant for ‘apon that sted a ryall-house held he’ . These words of Blind Hary not only make a strong case for putting New Cumnock firmly on the ‘Wallace Map’ of Scotland have an added significance. For it is from his home at Blackcraig that Hary has Wallace leaving to head for Glasgow to meet with Robert the Bruce but instead he is betrayed, captured and taken to London where on 23rd August 1305 our patriot is executed. For a detailed analysis of Hary’s writings on Wallace and New Cumnock please visit here.